COMMEMORATING THE NOTORIOUS PIN UP QUEENS OF ALL TIMES!!! 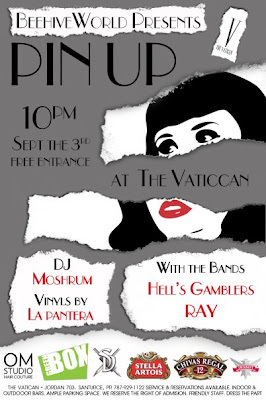 SO SMACK ON THAT RED LIPSTICK, PIN UP HAIRDO'S & COME PARTY!!! :::::::BEE THERE OR BE SQUARE!!! !